Last Thursday, our work held The Biggest Morning Tea to raise funds for cancer research. 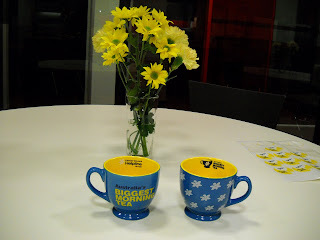 To participate in The Biggest Morning Tea, you bring in a plate of food, and make a gold coin donation to feast at the table. 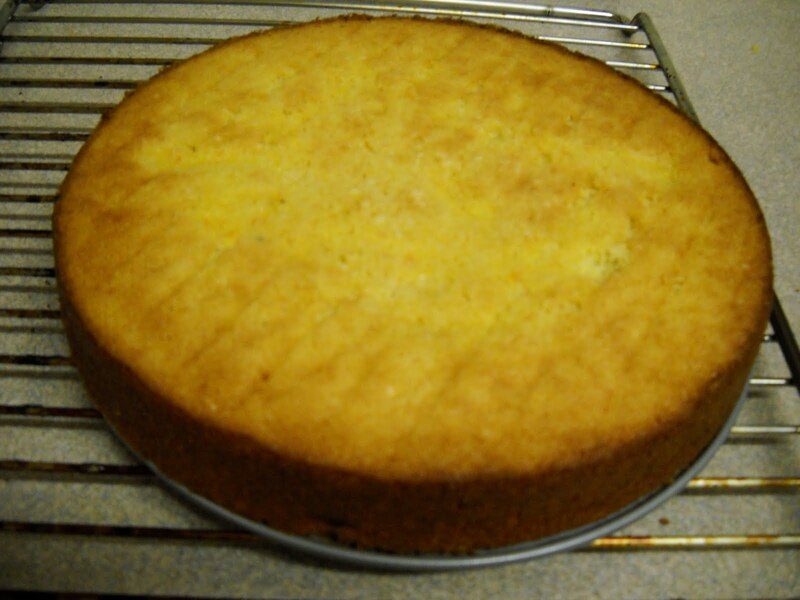 Preheat your oven to 190 degrees Celsius and grease and line a 9" cake pan. Pierce the skins of the oranges with a fork, and microwave each one separately on high for 3 minutes each. Top and tail the oranges, then cut them into eighths and remove the pips. Place the oranges into a blender or food processor, and blitz until smooth. In a large mixing bowl, beat the eggs and sugar together until they are light and fluffy. Add the almond meal and oranges, and stir until combined. Pour the batter into the prepared cake pan, and bake for 1 hour or until cooked through when tested. Allow to cool on a wire rack. 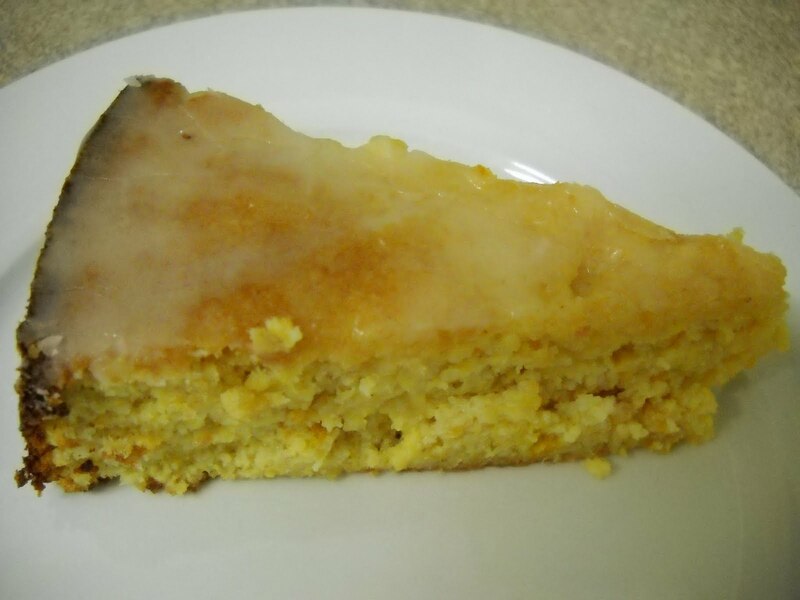 Once the cake has cooled, you can slice and eat it as is, or ice with a simple icing made of icing sugar and orange juice (which is what I did). Enjoy! 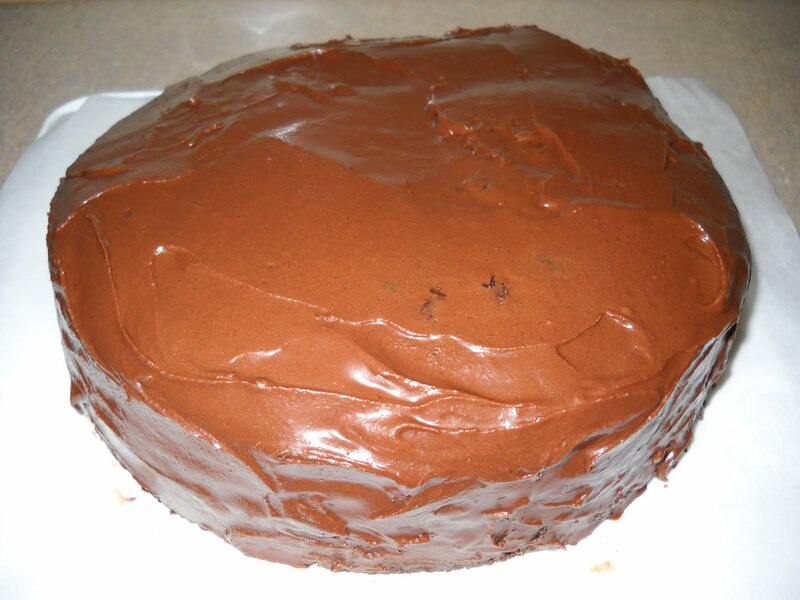 One of my hosts, Steve, has been feeling a little left out with all of this gluten free baking, so I decided to make a cake just for him, containing gluten. A few days ago, I spied Sue B's Chocolate Cake on Anna's Cookie Madness - that cake looked too good to pass up, and look how happy Fuzz, Anna's daughter, looks with her creation! 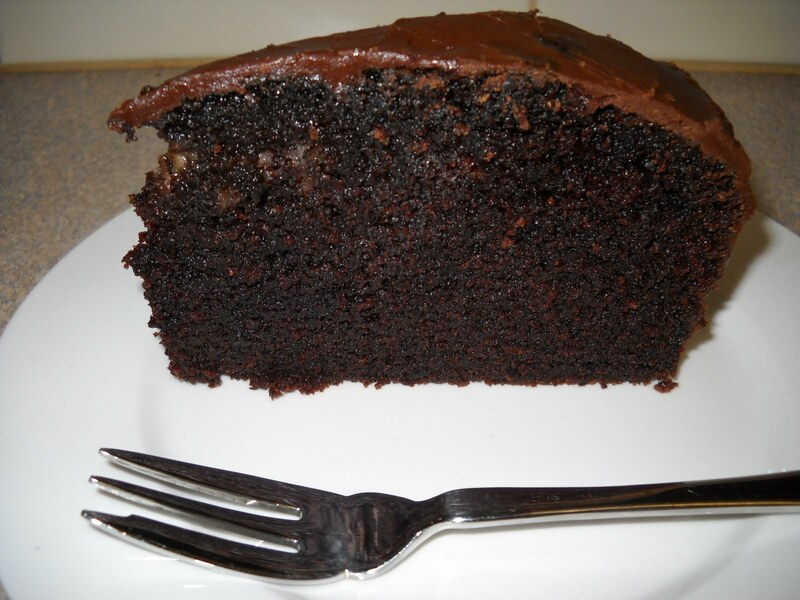 I was sold, and hence made Sue B's Chocolate Cake for Steve. I didn't use the icing in the recipe, as I didn't have any butter or chocolate, but thick and rich water icing works just as well. The cake is also sparse on decoration (ie none) because in my temporary digs, I don't have any sprinkles or other frippery to pretty it up. However, it's the taste that counts - and frankly, it's delicious! This cake has oodles of cocoa, so is very dark and chocolatey, and is very moist because it uses oil instead of butter (perfect in a dairy free house). What can I say? Fuzz's smile says it all - this is a fab cake! Make it for the weekend - you won't be sorry. I have always wanted to make a croquembouche, ever since Cookie made one for Simon and Vicky's wedding on A Country Practice way back in the early 1980s, and this month was my big chance. (I used to want to be a country vet just like Vicky when I was in primary school - it is a big leap from that to becoming a city lawyer!) Unfortunately, because of time constraints due some pretty full on personal things in my life at the moment, I only had time for the bare minimum, and my croquembouche is not the thing of wonder that I might have hoped. However, it is done, looks something like it is supposed to, and tastes good. 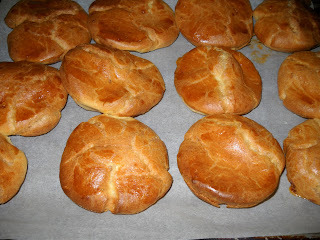 I liked the method for making these in the recipe - so much easier than making a roux. Unfortunately, my puffs were a little flat, which influenced the final shape of my croquembouche. No matter - they tasted good! Even though I only had 17 puffs, I only had enough pastry cream to fill half of them, so I filled the remainder with whipped cream. I was originally going to use caramel to glue my croquembouche together, but after seeing the video of the Aussie guy on YouTube making a croquembouche with chocolate glaze, I was converted and did that instead. He made it look so easy!!!! 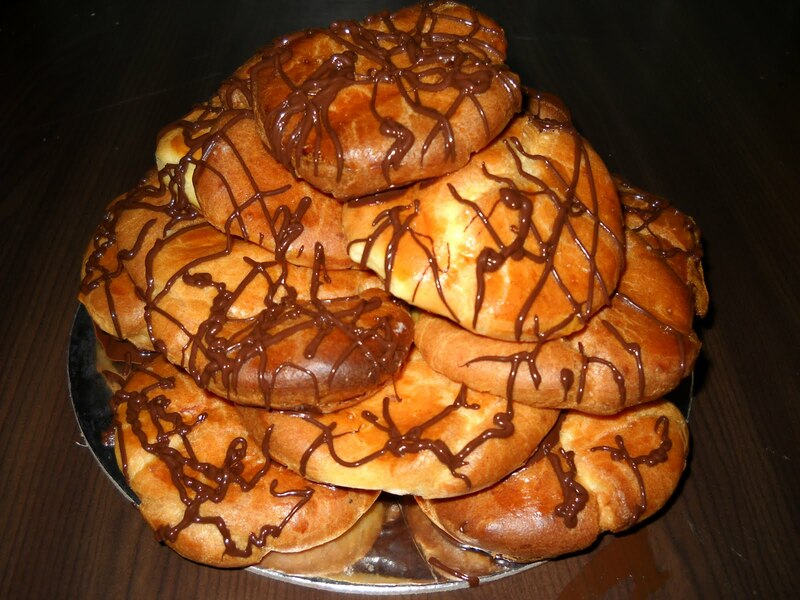 I filled the puffs, then melted chocolate, dipped the bottoms of the filled puffs into the chocolate, and arranged them on a 9" round pastry board. Finally, I piped chocolate drizzle all over the assembled croquembouche. Thanks to Cat for choosing this challenge. She will have the recipe up on her site. 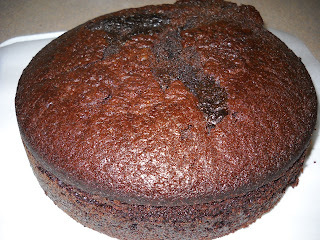 To check out what the other Daring Bakers did with this challenge, visit the Daring Bakers blogroll. For my cooking contribution for the boys this week, I made gluten free, dairy free lasagne. It was inspired by this recipe, but with my sous chef Craig helping out, it took on a life of its own and became our unique take on it. I was really dubious how this lasagne would turn out - especially with soy cheese! - but it was actually very nice. It is a little different to ordinary lasagne with bechamel sauce, but is still very much worthy of the name "lasagne" - and there's no tofu in it! 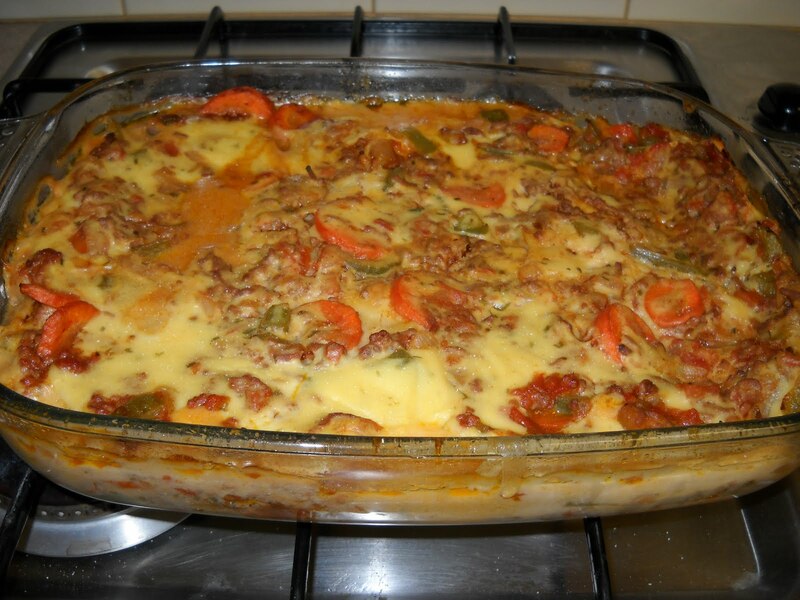 It is also healthier than normal lasagne, due to the lack of dairy and bechamel sauce. It's definitely a dish to consider if you love lasagne but are worried about the fat. Put the lasagne sheets in a bowl with a glug of oil, and pour over hot water sufficient to cover the sheets. Leave the lasagne sheets to soften in the water, then drain. Brown the onion in a frypan. Add the mince, and cook until the mince is browned. Add the remaining vegetables, and cook, stirring, until the vegetables are soft. Add the tomato sauce, and cook, stirring, until the sauce has heated through and coated all the other ingredients. Remove from the heat. Grate the soy cheese and set aside. In a small saucepan, add the milk and non-dairy spread, and stir over medium heat until the spread has melted. In a small bowl or cup, mix the cornflour with just enough cold water to make a paste, then pour into the milk, stirring continuously to avoid lumps. Add the grated cheese, then bring the sauce to the boil, and simmer until it has thickened. Remove from the heat. If the mixture doesn't thicken sufficiently, just add more cornflour paste. Layer the base of a 9" x 13" pan with lasagne sheets. Spoon one third of the mince on top, and one third of the sauce on top of that. Repeat another two times. Place the lasagne in the oven, and bake for ~35 minutes. Allow to sit for 10 minutes out of the oven before slicing and serving. This week's Tuesday with Dorie is an unusual selection by Spike of Spike Bakes - a Banana Coconut Icecream Pie. 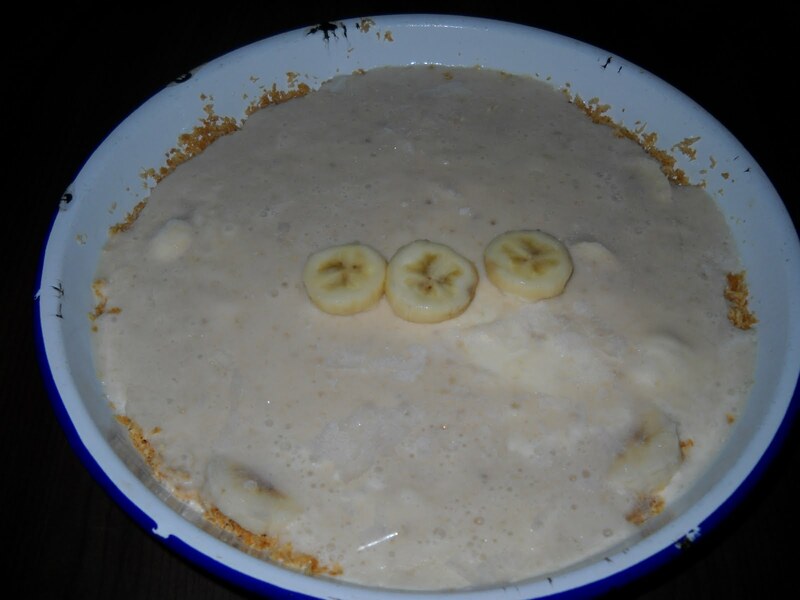 Basically, this pie consists of a crust made of toasted coconut and biscuit crumbs, which is topped with banana slices, then filled with a mixture of icecream and pureed banana flavoured with rum and lemon juice. The whole thing is then frozen for around 4 hours before serving. I used vanilla icecream instead of the suggested chocolate, because I had vanilla icecream already and I am not a chocolate icecream fan. I also only made a half size pie. I was a sceptic about the crust, as there is very little butter to bind the dry ingredients together, but it works - perhaps because it is frozen for half an hour before being filled. Not being a huge banana dessert fan, this was never going to be a winner for me. However, I took it to work, and my colleagues really enjoyed it - which was a relief! To get the recipe, visit Spike, and to see other versions of this pie, visit the TWD blogroll. I am on a gluten-free, dairy-free roll at the moment. 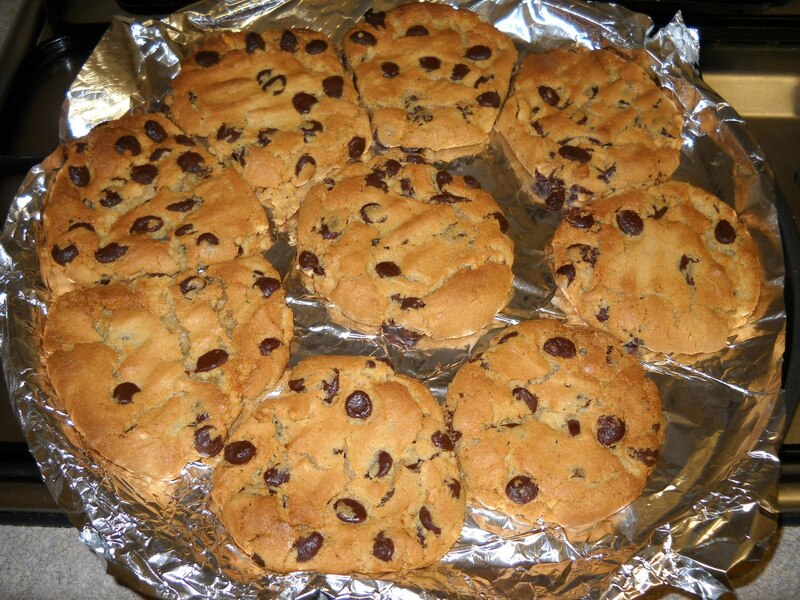 As the peanut butter and chocolate chip cookies are now a distant memory, I made the boys a new batch of cookies. 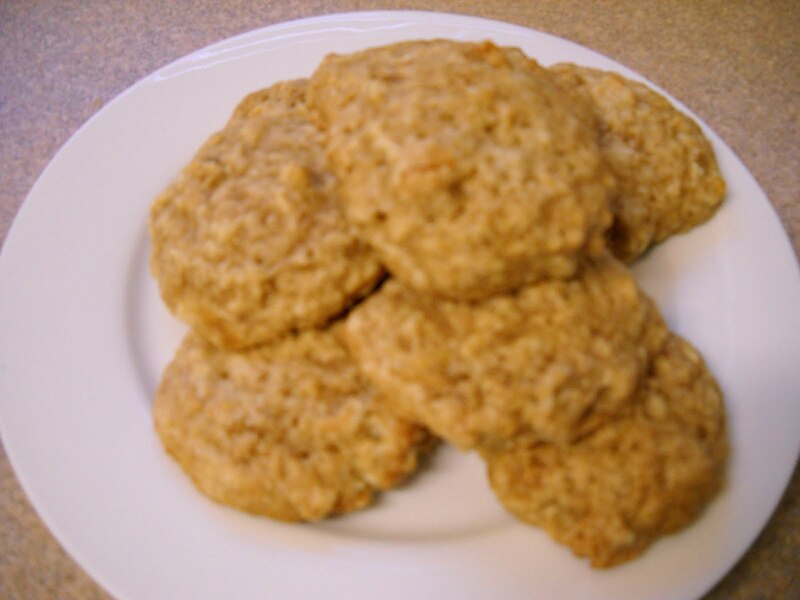 This time, I selected this recipe for gluten free applesauce cookies, substituting the butter for Nuttelex (a dairy free spread), and I included the nuts, which I recommend for texture. I also skipped the icing, as I feel it is unnecessary. The batter was more like a traditional biscuit dough than the peanut butter cookies, and everything can be mixed by hand, which saves on washing up! These cookies are quite moist and cake-like, so if soft cookies aren't your thing, these cookies aren't for you. Personally, I liked the crispy peanut butter cookies better, but variety is the spice of life, and these are pleasant tasting cookies. You may have noticed that I have been a little more absent than usual from blogging. This is because I have just made the gut-wrenching move to a new job and a new state. My life is still in transient mode, as I will be staying with friends until almost the end of June. This means a whole lot less baking and blogging until my life is in order. I am in that phase at the moment where it feels nothing will ever be settled again, but experience tells me that this should pass. One of the friends that I am staying with is gluten and dairy intolerant, so this has brought me to think a little more about alternative baking. A few nights ago, I searched for a biscuit recipe that I could make for both of my friends to enjoy, and I stumbled across this recipe on Taste for gluten and dairy free peanut butter and chocolate chip cookies. 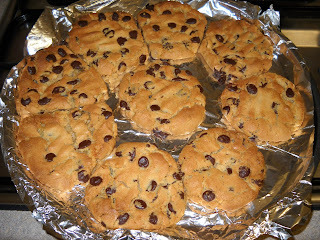 On a first read of the recipe, I thought it was nuts and would never work - after all, how can one cup chocolate chips, one cup peanut butter, one cup sugar, 1 teaspoon of bicarbonate of soda and one egg come together to make biscuits? 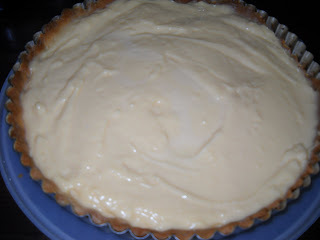 The batter seemed like peanut butter gloop. But weirdly enough, the batter was transformed in the oven to form wonderful, light peanut butter cookies. My gluten intolerant friend loved them, and was not keen to share with his partner! My only tip is to space the biscuits well on the baking trays, as they spread quite as bit. You can see mine on the pizza tray are starting to cojoin into a huge peanut butter chocolate chip pizza! 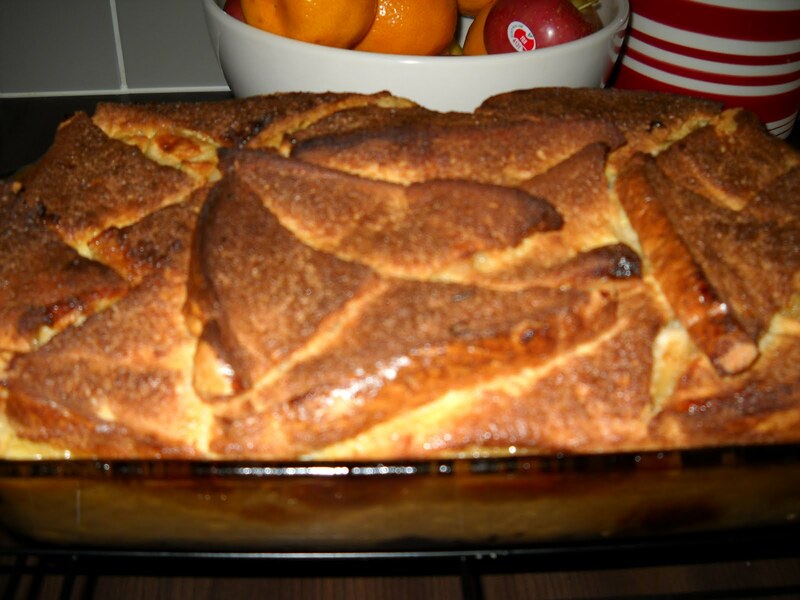 For a change of pace, this week's Tuesday with Dorie features an Apple-Apple Bread Pudding, chosen by our host, Elizabeth of Cake or Death. 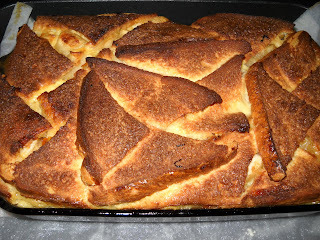 This is like any other bread pudding, except with heaps of eggs and an extra apple middle. You are supposed to spread the bread with apple butter, but I didn't have any, so I used marmalade instead - hence the apple-orange bread pudding. This would be a super pudding for a cold day - substantial and filling. To check out the recipe, visit Elizabeth's site or buy Dorie's book. 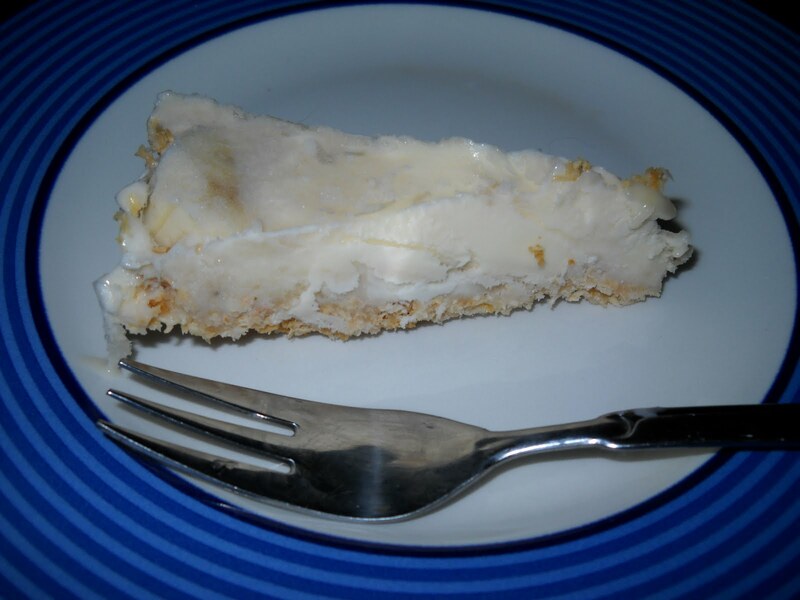 And to see other variations on this pudding, check out the TWD blogroll. This week's Tuesday with Dorie features a Quick Classic Berry Tart, chosen by Cristine of Cooking with Cristine. 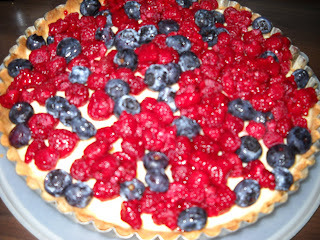 This tart was devine - creme patisserie and berries in a pastry case. To get the recipe, buy the book or visit Cristine's site. 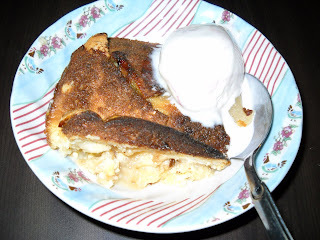 To check out some other droolworthy tarts, visit the TWD blogroll. This week's Tuesday with Dorie is a little different in that instead of baking, we were required to make icecream. 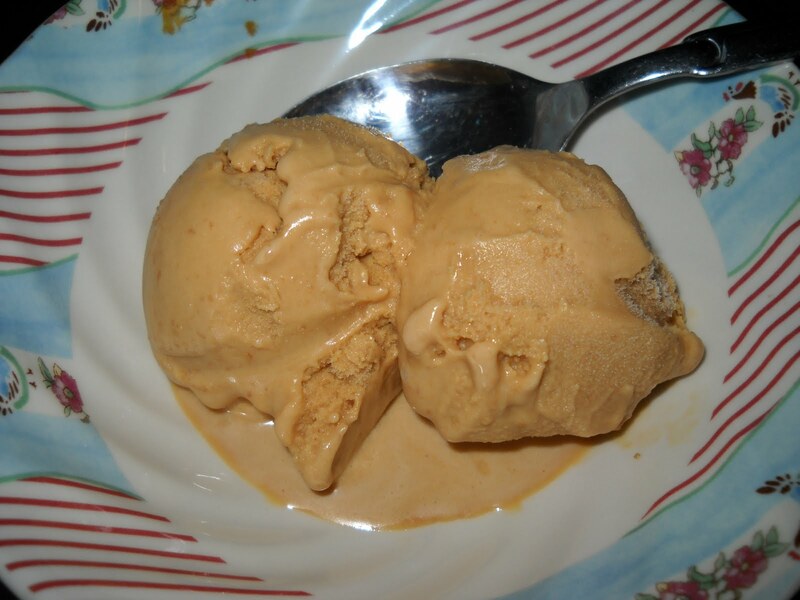 Our host, Becky of Project Domestication, chose Dorie's Burnt Sugar Icecream for our challenge this week. 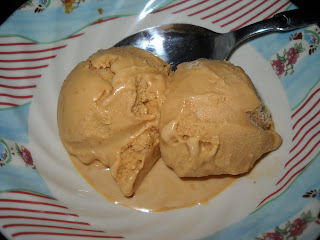 This icecream was easy enough to make - it uses the amber caramel base used in many of Dorie's recipes, onto which milk and cream are poured to form a custard, albeit a seething, angry one at the start, before the addition of egg yolks and sugar. 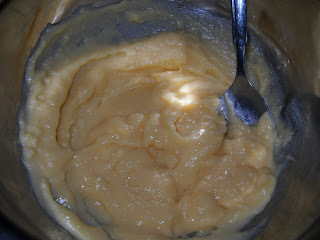 The mixture is then chilled and churned, then frozen to form icecream. I have to say that I wasn't a huge fan of this icecream, despite its gorgeous caramel colour - it really did taste kind of burnt to me. The taste was almost, but not quite, bitter, and as a real sweet tooth, this did not appeal to me. I only made a half batch, as I hadn't a hope of using the whole batch. Thanks to Becky for hosting us this week and introducing me to something new. Becky will have the recipe on her site. 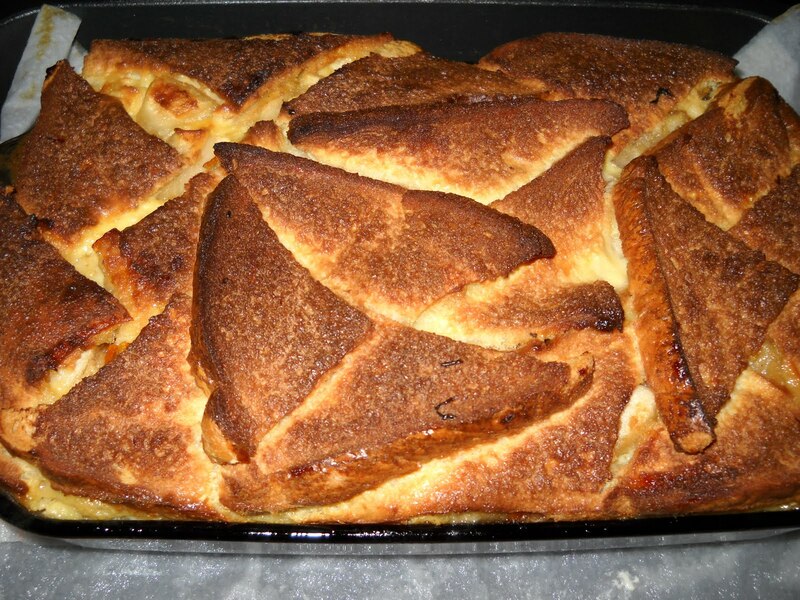 To see what the other TWD members thought of this recipe, visit the TWD blogroll.